Let us start with the back side of the paper facing up. 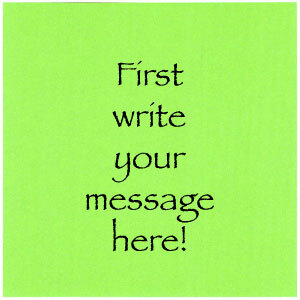 First, write your message here before folding the paper. If you want to write a letter on a separte paper, then you can do that also. In that case, you can put a letter later. 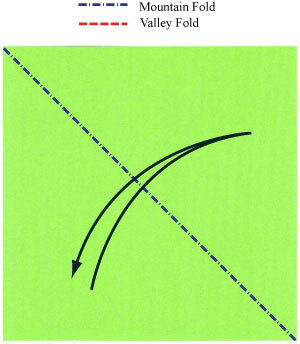 Prepare to apply a diagonal "mountain-fold" and then "unfold" .